Bath Remodels come in 2nd to kitchens as places where considerable attention is given to layouts and finishes. And size doesn’t limit quality of their design. The very basic intention underlying functionality, utilization, layout and design remain primary foundation cornerstones of remodeling construction & design. Hence, these cornerstones are essential benchmarks throughout the remodel construction process-providing homeowner’s an initial “template” for each component of a bath remodel. Understand standard bathroom dimensions. Knowing a few key measurements, like the size of a typical bathtub and how much space is needed for a toilet, will help you develop a realistic bath remodel. Vanity, vanity,vanity…vanities are essential. Choose one too big…and undermine functionality. Choose one too small and you’ll be scrambling for more counter space and storage. Pick the wrong materials and you could have remodel regret. Seek the help of an experienced bathroom designer when making bath remodel decisions. Splurge on a few high-end materials. Splurging on a few higher-end materials and finishes can be a good investment making your space look and feel upgraded. 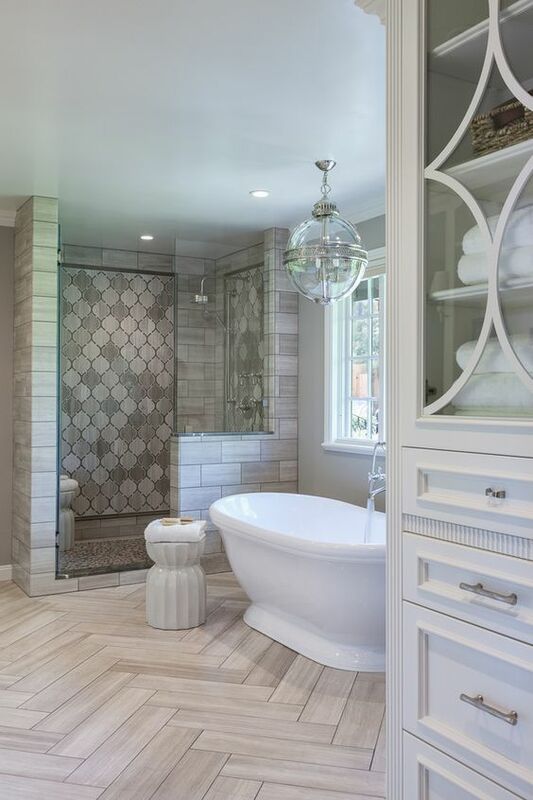 Before issuing a mandate that your new bath remodel will feature only basic, affordable materials…, look at materials for wall and floor coverings, counter-tops and more on the higher end of the spectrum. You might find that adding one or more of these materials to a small portion of your bathroom is actually within your budget. A shower curtain, bathmat or towels can adds personal appeal & texture to a bath remodel. Adding pastel or earthy color to a bath remodel can raise your spirit or balance it. Decor options can be as inexpensive or expensive as your budget and personal appeal can afford. Each time you walk in, you should see at least see one thing you love. Hanging art is one of the easiest and most effective ways of transforming a space. No matter how small your bathroom, there is always room for a picture or two. It’s not as much fun as choosing a new shower curtain, but this chore makes bath rooms an experience to look forward to rather than avoid. Minimizing everything is essential in keeping clutter at a minimum. Maintain orderly storage area’s as often as possible with for daily/weekly “the bare necessities” (exclude monthly) cuts down on clutter tremendously. Keeping your favorite cleaning products handy (even if they cost a bit more than those three bulky bargain items) goes a long way at easing the stress of cleaning, sanitizing while maximizing minimal storage capacities. Plants love bathrooms! Good for body & soul too. Spider plants, ferns, aspidistra, and philodendron will all thrive in the warmth and humidity and are almost impossible to kill off. Artificial plants look great too when accentuating your brand new bath remodel!